Stirling Castle, and the town itself, played an important role in the 13th and 14th century Wars of Independence; near here Bannockburn was fought and, seventeen years earlier, William Wallace routed the Earl of Surrey’s army at Stirling Bridge. The castle, still under military occupation, has been much destroyed, rebuilt and refashioned, and the present buildings date mainly from the Renaissance. 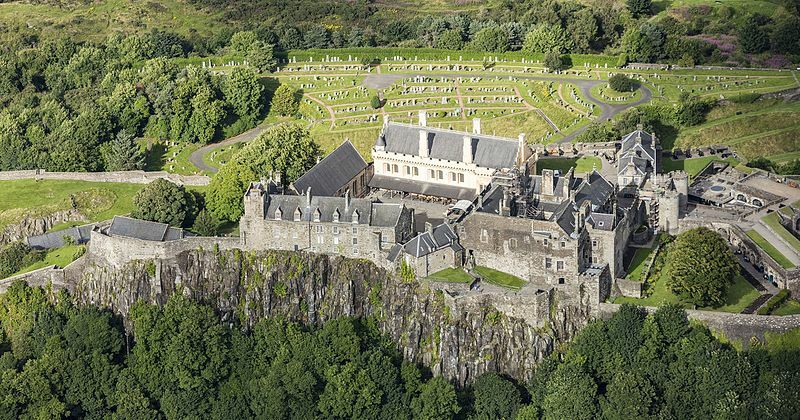 On its 250-foot basaltic rock, Stirling Castle bears a resemblance to that of Edinburgh, both from the ground and from the air. Stirling Castle is a must-see attraction, contact Ireland & Scotland Luxury Tours now to organise your Scotland tour!